Back in 2005, US satirist Stephen Colbert coined (though some claim he only popularised) the concept of ‘truthiness’ for the pilot episode of The Colbert Report. This was excellent satire in the era of WMDs in Iraq, fraudulent journalism by Jayson Blair in the New York Times and bestselling fiction disguised as memoir by both James Frey and Norma Khouri. The concept of ‘truthiness’ suggested a wish-fulfillment statement impervious to evidence, scrutiny, logic and – well – truth. Shout a ‘truthy’ statement loudly enough and it felt true to those who wished to hear and believe it. The so-called ‘birther’ movement questioning Barack Obama’s provenance and the repeated avowals of the US president’s alleged secret Muslim identity fitted this truthiness definition. And since then Fox News, Sarah Palin and the Tea Party movement continue to thrive on similar logic-resistant assertiveness. 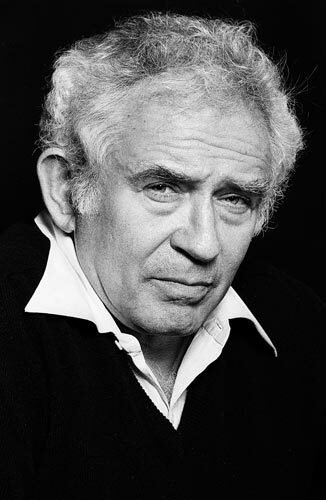 More than a generation ago, Norman Mailer coined the term ‘factoid’ to describe claims lacking any basis in reality other than the printed reality of their authors. In other words, a particular class of magazine and newspaper (whose antecedents have been muck-raking since the days of Grub Street and before), under the aegis of a free-press ethos may print whatever they choose so long as they keep on the windy side of the law. And some factoids have a robust half-life. They enter the back yard of urban legend, often prefaced by ‘Apparently…’ or ‘I’ve heard…’ We haven’t lacked for factoid truthiness in Australia. Remember the trial-by-rumour of Lindy Chamberlain (‘I’ve heard that “Azaria” means “sacrifice in the wilderness” ’) and the children-overboard scandal of 2001 (‘we don’t want people like that in Australia’)? Truthiness mud tends to stick. Who could forget the sheer effrontery of a former prime minister breaking an election pledge and then claiming it was a ‘non-core promise’? 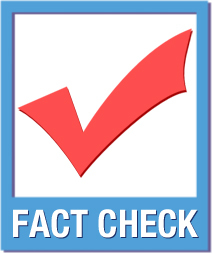 Distrust of public figures – and distrust of reporting by mainstream media – has contributed to the recent phenomenon of ‘fact-check’ services within, and independent of, major newspapers. Writing in The Conversation last month, Russell Marks noted trends of truthiness during the Gillard-Rudd government, such as a tendency by some politicians to describe seafaring asylum-seekers as ‘illegal immigrants’. This is truthiness. Many who spake thus would know that under international law it is perfectly legal to seek asylum from persecution. Seeking doesn’t mean they will find — but a person is legally entitled to try. Yet seldom have such muck-smearers been challenged on a loose relationship with facts. Perhaps a rising public threshold for truthiness explains how newly sworn-in Prime Minister Tony Abbott could claim during the recent election campaign that, by abolishing both the carbon tax and super-profits mining tax, his government would create jobs and ease the burden on the cost of living. He did not need to cite evidence. It was truthy. What did it matter that neither of these taxes has adversely affected investment in Australia? What did it matter that the current inflation rate is 2.4%, which is below the level of Labor’s term in office prior to the carbon tax, and also below the inflation rate for the second half of John Howard’s tenure. The speaker wanted it to be so, and he needed only say it. Once it appeared in print, that verified its accuracy. Paper covers rock. Paper wins. There is one other aspect to the truthiness phenomenon that explains the emergence of independent fact-checking. It’s the ‘woozle’ effect, a term coined in 1979 by criminologist Beverley Houghton to describe the process whereby urban legends are reported as established fact (e.g. the Great Wall of China is the only man-made structure visible from space – only there’s no evidence for this, just a woozle.) 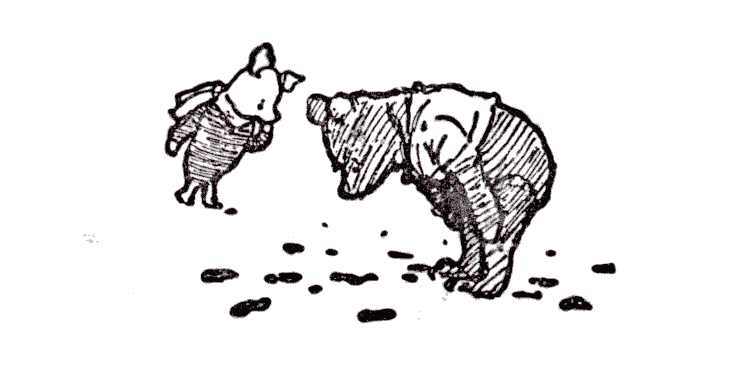 A ‘woozle’ was the imaginary creature whose spoor Pooh and Piglet tried to trace, until Christopher Robin pointed out that it was their own circular tracks they were following. With a swelling fifth-estate never asleep and always hungry for news, woozle stories may go viral at any time without corroborative evidence. One too many premature announcements of celebrity deaths have perhaps taught us to be cynical of Internet rumours but we still cling to long-held beliefs about Labor MPs being in the pockets of the unions, while Liberal MPs are in the pockets of big business: evidence is an optional extra. Or perhaps you don’t want facts. Perhaps you’re a rusted-on supporter of the left or right. For you, facts could be an inconvenient distraction, as you always vote on party-tribal lines. Do you listen to uncomfortable criticism or has truthiness become your default position along with football allegiance? I don’t believe that’s so. There’s a large group of us in so-called democracies feeling short-changed. We are the majority. And we need as much fact-checking as we can stomach. Truthiness has not set us free. Is the ‘helicopter manager’ an overused metaphor? It first appeared in the phrase ‘helicopter parents’. This was an amusing phrase to describe overzealous folk who hovered around their children and swooped down to intervene. But is this truly how helicopters behave? The swooping and shielding combination sounds more akin to a mother bird, some overprotective flying creature with beating wings and fierce talons. The so-called ‘helicopter parent’ is an attempt to paint a word portrait of someone over-eager to intervene, to soften hard edges, to overdo the safeguards or even to take over when junior faces a task that might otherwise toughen him or her, even if means the risk of failure. In the worse instances of over-protection, such a parental bird might try to intervene in a son’s or daughter’s assignment or write their job application. By extension, in the workplace we now hear about ‘helicopter managers’. These folk, so described, buzz around staff with just a little too much attention to detail in the work of underlings. 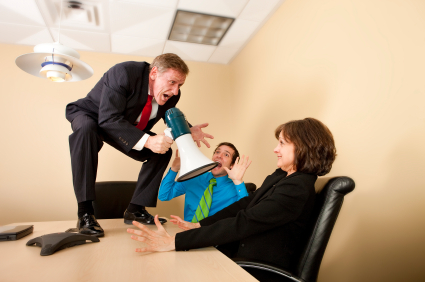 Such managers are not so much rescuing as suffocating. Surely this metaphor shows a poor understanding of how a helicopter takes off, flies and lands? 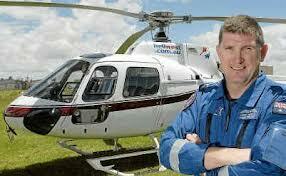 The helicopter is more than an observation or transport vehicle. 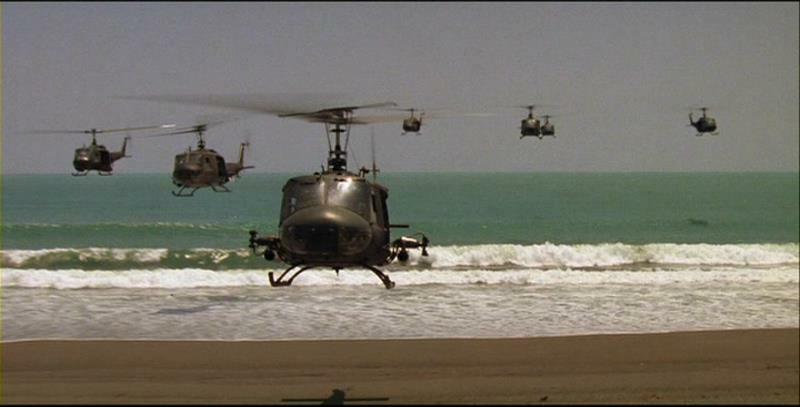 In films such as Apocalypse Now and Black Hawk Down, we see how the chopper can become a powerful attack weapon. It takes off swiftly. It dives. It lunges. It soars. And it vanishes quickly. Sure, the helicopter may linger for observation or even launch an attack. It can land quickly and it can help with rescue. But does this machine over-protect its passengers? Does it mollycoddle those flightless people on the ground? Does it smother those it does not carry? And does the presence of a helicopter stifle resistance or does it merely threaten? Someone is flying that helicopter. It’s often a lumbering thing, a clumsy vehicle for quick attack. It’s no match for an eagle or a falcon in speed, visual range or manoeuvrability. It has a pilot, not wings or claws. Sure, it may be armed, but it cannot cuddle or soothe or say there-there. Nor can it express love or sarcasm. I think the metaphor is at risk of strain.